My new years resolution this year was to make things that I hadn't tried before. I started with learning how to crochet and then I did a lot of cross stitching. I really enjoy the process of learning and making things. 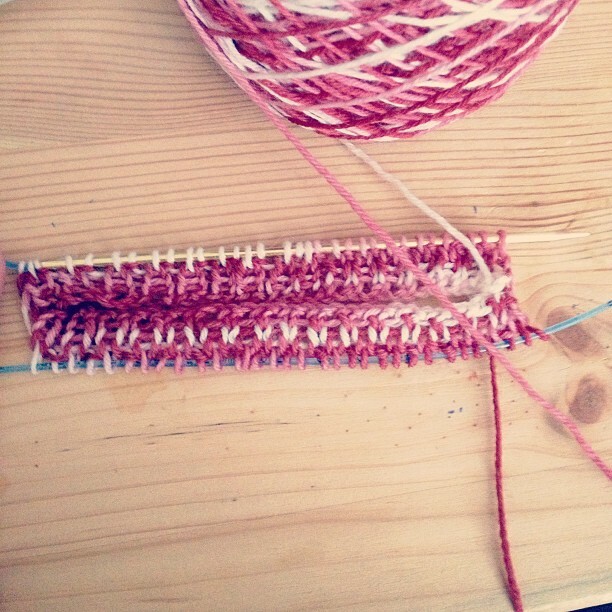 I mean I LOVE chunky knitting but I do that so much for other people that it's nice to try something new for myself. I was determined to try to knit a pair of socks this year! The "A Yarn Loving Mama" group on ravelry is having a June sock KAL so I thought this would be the perfect time for me to learn!! 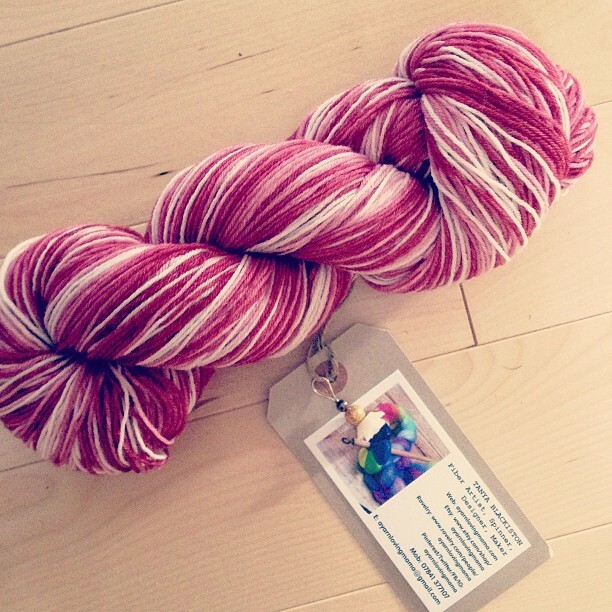 Plus I got 15% off A Yarn Loving Mama's etsy shop! Ravelry and the group is free to join so it's really amazing to get discounts! I found A Yarn Loving Mama through instagram and then just found all of these other little things online :) The socks that they chose to make are called "Hermione's Everyday Socks" and it's a free pattern that you can find here! Ok SO I decided on my yarn, it's called "Afternoon Tea", I mean I love yarn and tea so I couldn't resist! But I think next time I would choose something brighter, maybe the "Watermelon" one. I woke up June 1 and realized it was time to cast on!! But I didn't have the proper needles so had to bike off to the local knitting store and bought a supposedly really good pair (according to the sales woman). I cast on later that day and knit any spare moment that I have! It's the smallest knitting I've ever done so it's interesting!!! I'm really slow at it right now and can't believe how fast other people are!! 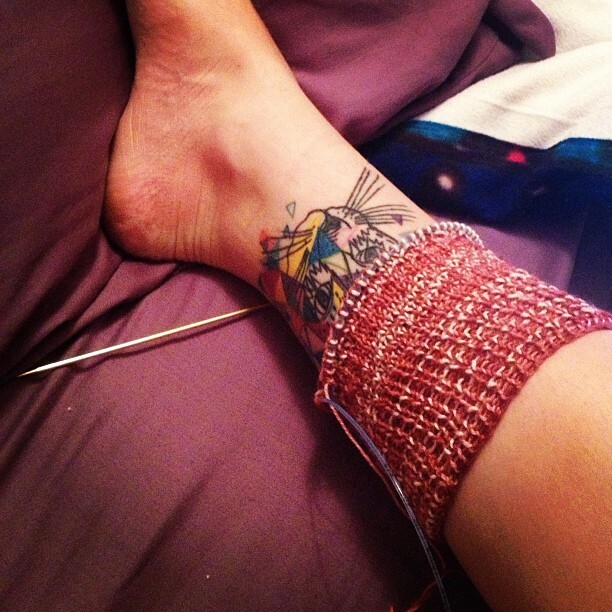 I'm following their progress on instagram with the #summerysockKAL13 tag. Anyway yes I saw someone had already finished their socks! I'm hardly even past the cuff! Oh well such is life and I'm sure it will get faster. I just hope that I can manage with the heel... people on instagram tell me that it will be fine so we'll see!! yay! Can't wait to finish one sock! Freestyle Knitting: Skank Flank Tank edition!